If you want scrubs that will take you from work to play in no time flat, Med Couture has the collection for you. But Med Couture is more than just a passing fancy. Med Couture Scrubs are proud to offer you a full and fulfilling history of changing the look of health care one print at a time. Discover the Med Couture story and the way each choice is perfectly printed to match your everyday needs with quality and style. Nursing uniforms used to be crisp and formal to a fault. If you've ever watched a movie filmed more than 30 years ago, chances are you've seen the iconic white dresses and white pant suits, and the pointy folded hats perched atop the nursing staff's heads. But if you asked any of their real-life counterparts, you'd know that those uniforms did little to support nurses and medical staff throughout their shifts. It was the pits, to say the least. But one man had a vision to change the look of nursing forever. Barry Rothschild took a close look at what the health care industry needed to change medical uniforms from the pits to peaches. He knew that nurses and professionals like you need work wear that will take you beyond an iconic image and actually support your movement throughout your shift so you can care for yourself as much as you care for your patients. Plus, he recognized the importance of asking you what you want and need; so, he did. "A day has not gone by that I do not reflect how grateful I am that Med Couture has made an impact to the health care community. My vision is that we will continue to make a difference and enhance the image of health care professionals for years to come." 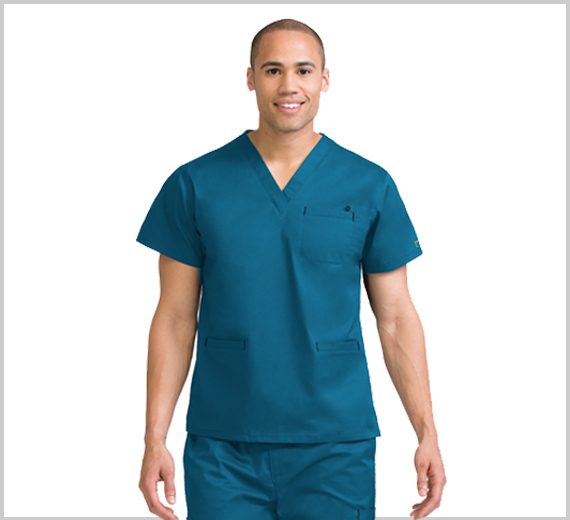 Enhancing that image and vision is exactly what the Med Couture Scrubs do. After another round of asking health care professionals what you need in quality scrubs, Med Couture has developed a brand-new collection: the Med Couture Activate Scrub Collection. Inspired by yoga to go with the flow, this collection utilizes a special 4-Way Energy Stretch Fabric comprised of 95 percent polyester and 5 percent spandex to move with you while still standing up to the rigors of your day. Med Couture Activate In Motion V-Neck Top is available in several colors and has a fit and style that flatters every shape. Med Couture Activate Transformer Cargo Pants transforms ordinary scrub pants into a five-pocket gangbuster favorite. 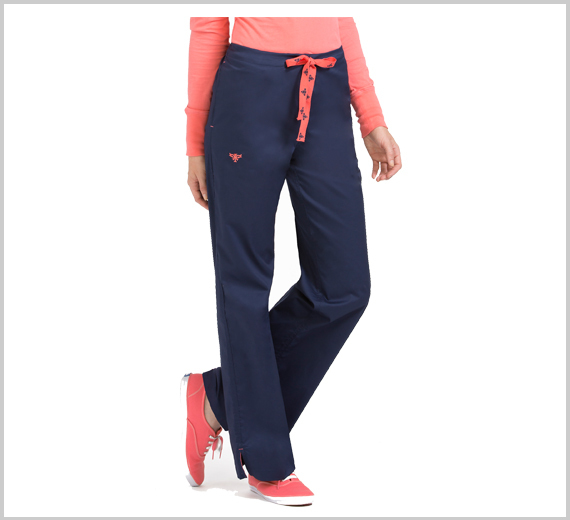 The knit waistband and straight leg styling keep you comfortable all shift long. Available in 12 vibrant colors to pair with any top or jacket. The Activate Collection isn't the only choice in the Med Couture line. You'll find the fit and fashion you want in all the other collections, too. 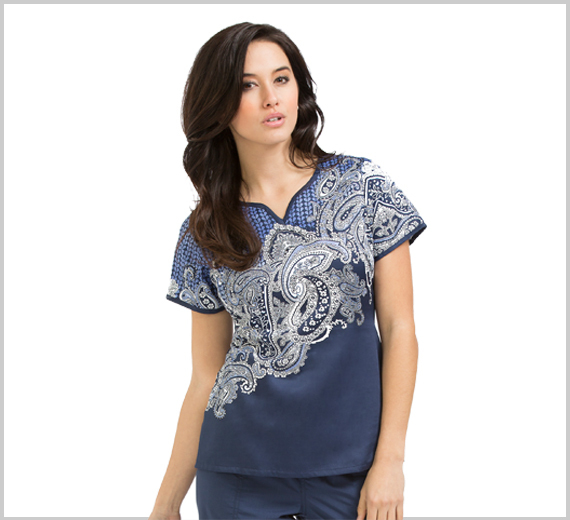 Med Couture Chrissy Top with contrasting trim in a crossover neckline. Med Couture Flex-It Knit Panel Top with patch pockets and extra pen compartments and cellphone pockets. And in the spirit of providing you with the freedom of movement no matter what the conditions on shift, Med Couture also offers a variety of lab coats and jackets in varying lengths and cuts, and long-sleeve tees to layer underneath. Med Couture has you covered. Med Couture Scrub Shop is the No. 1 site in the USA dedicated to selling only Med Couture Collections. Med Couture Scrub Shop offers the entire line of Med Couture products, from tops and pants to jackets and layers for both men and women. This is the place you'll find the best prices, fastest shipping and award-winning customer service. To discover your next favorite Med Couture piece, browse the Collections now or contact us with any questions. Med Couture Scrubs: Stand Up, Stand Out! 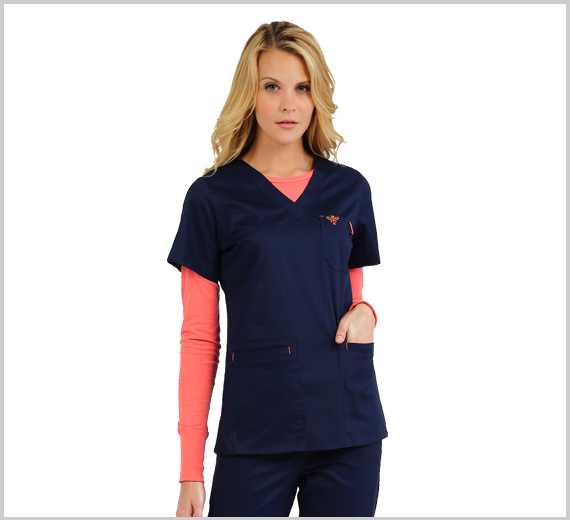 Med Couture scrubs are all about challenging the old notion of what scrubs are supposed to be. Gone are the days of 'one size fits all' in scrubs. Med Couture has the hottest looks, newest patterns and colors, and the best fit.